Olivia Ambrose, of Jamaica Plain, left the Union Street bar late Saturday night. Boston police are asking for the public’s help in locating 23-year-old Olivia “Liviy” Ambrose. 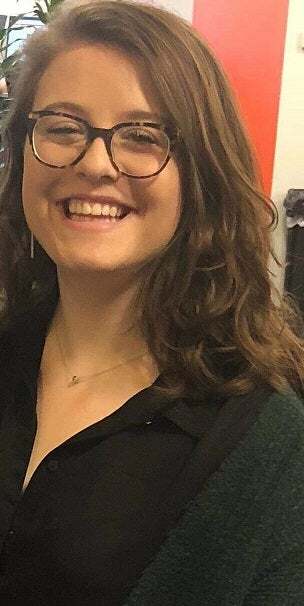 Ambrose was last seen around 11 p.m. Saturday leaving Hennessy’s bar at 25 Union St. near Faneuil Hall in Boston, according to a Facebook page set up to help find her. Police confirmed she was last seen in that area. Ambrose, a graduate of the University of Edinburgh who works at Toast Inc., is a Wenham native and had recently moved to Jamaica Plain, friends and family told MassLive. She was out with her twin sister, Francesca, and a large group of friends, according to the report. Police said Ambrose is about 5-foot-2, with blue eyes and curly brown hair. On Saturday, she was wearing a red corduroy dress under a long white and gray coat. Anyone with information is asked to call 911 or Boston police detectives at 617-343-4248.